How ironic is this? 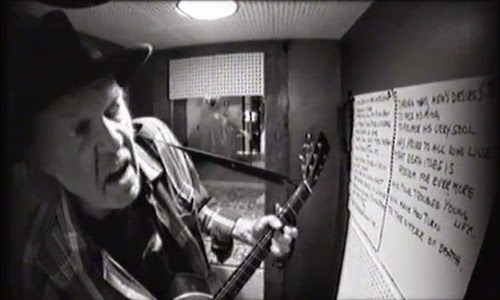 Neil Young announced in March of this year that Pono - the company he founded in order to develop a dedicated music player and a music downloading service that would provide "high-quality" recorded audio - was almost ready to begin the release of "the finest quality, highest-resolution digital music from both major labels and prominent independent labels" using the FLAC audio file format. It has been a long-term ambition of his. But, then, about a month later - on International Record Store Day (April 19th., 2014) - Young released A Letter Home, the most low-tech recording imaginable. It is full of muffled audio, speed distortions, pops, crackles, and constant hiss - probably the worst-sounding album you've ever heard. What the heck was going on? No, Neil was not being a cynical hypocrite. The audio is dreadful, but that's the point. The sound of the album is part of its essential concept. The choice of songs, the way they are presented, and the degraded sound of the music itself - all of these elements are enmeshed in an intriguing whole. It's more of a performance piece - a work of art - than a typical commercial collection of pop songs. The reason for the inferior sound? 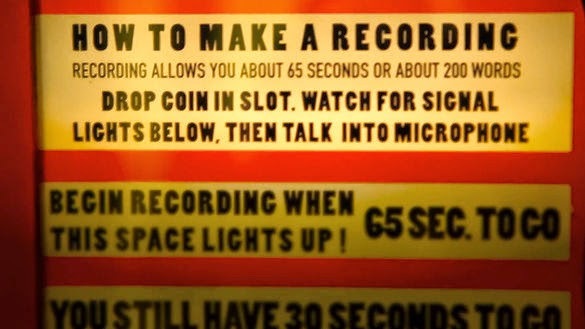 A Letter Home was recorded in a Voice-o-Graph booth at Jack White's Third Man record store in Nashville, Tennessee. These booths were once a staple of fairgrounds, arcades, and tourist attractions - there used to be one, for example, on the 86th. floor of the Empire State Building. 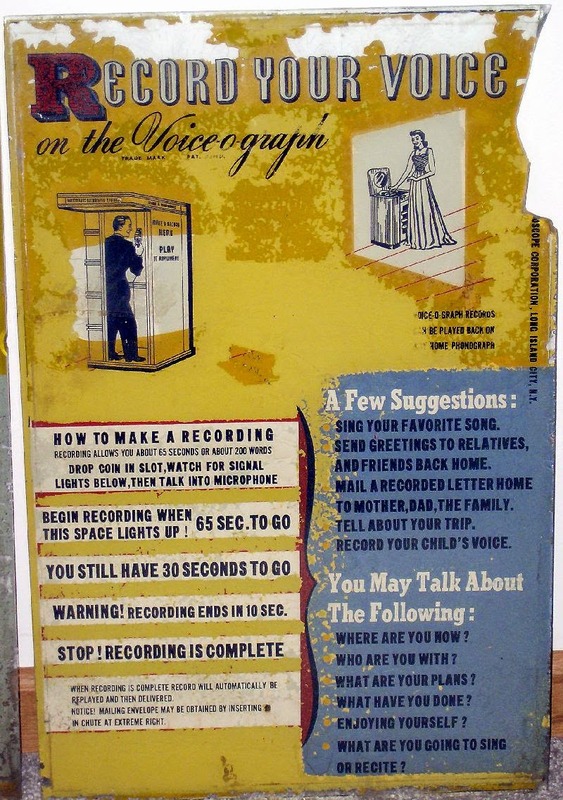 The idea of these booths was to record your voice direct-to-disc - a 65-second message, poem or song - which you could then mail to relatives and friends. 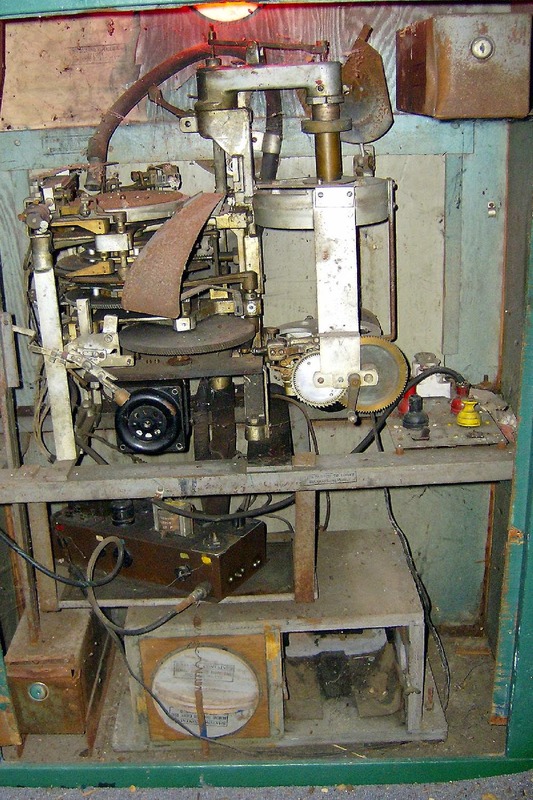 The Voice-o-Graph was manufactured by the International Mutoscope Corporation. Between 1910 and 1960, it produced about 40 different models. 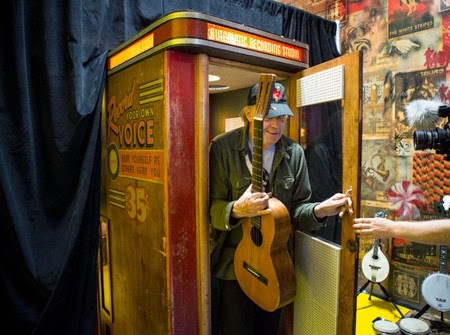 When Neil Young heard that White had acquired - and refurbished - a 1947 Voice-o-Graph vinyl recording booth, he decided to check it out. The Voice-o-Graph looks like a phone booth. White obtained his in June, 2013 from a novelties collector based in Washington, D.C. He then spent a few months having it fixed up: acoustic tiles and carpet were added; a digital clock was installed, so that customers could keep an eye on the recording time; and a small window was cut into one of the walls of the booth, so that you could watch as the direct-to-disc cutting was taking place. Some important technical refinements were also achieved: the head cutters were modified in order to change the speed of the discs that were produced from 78 r.p.m. to 45 r.p.m. (this extended the recording time from 65 seconds to about 140 seconds - depending on how thick the grooves were); the motors were adjusted in order to allow a more consistent sound; and new discs were found, in order to extend the longevity of the final product (the original discs were made of a laminated cardboard - now they use clear, polyvinyl discs that measure 6" in diameter). 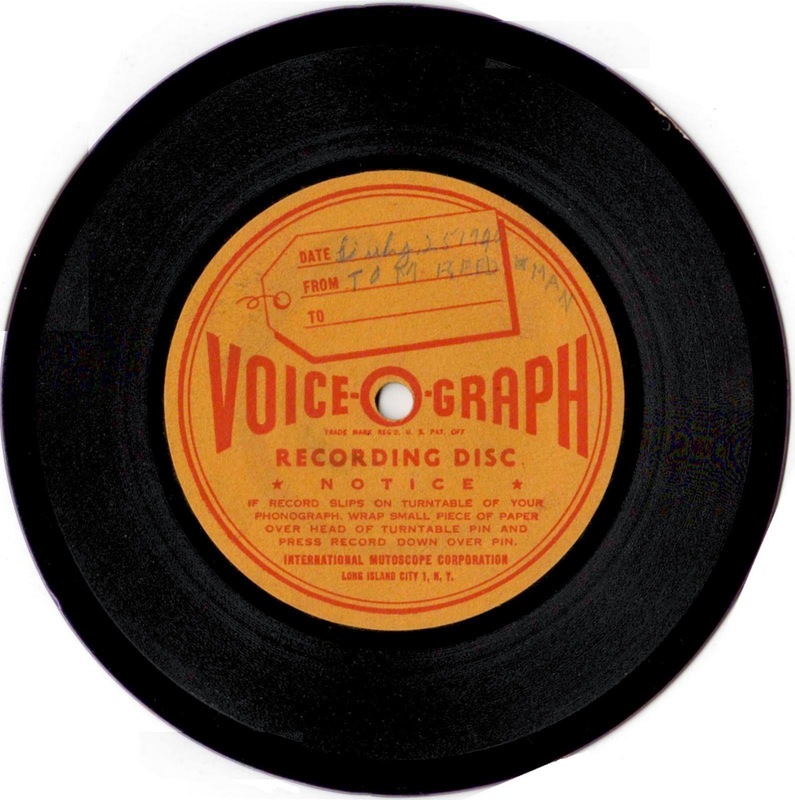 The updated version of this 1947 Voice-o-Graph was inaugurated at White's Third Man Records on Record Store Day in 2013. Since then, over 1,000 discs have been made - customers paying $15 a shot. The original 65-second discs in 1947 cost 35 cents. Once Neil had stepped inside the booth and experimented with his own first recording on the device, he conceived the idea of doing a whole album's worth. He cleverly combined two guiding ideas: the original intent of the Voice-o-Graph - used to record a brief message to loved-ones (A Letter Home); and doing an album of cover-songs - pitched in a retro-fashion as songs that inspired him in his younger days, before he became a songwriter in his own right. The inferior sound quality would then no longer be seen as an obvious detriment to the final product - it would actually enhance the presentation. As Neil Young puts it: the album is "a collection of rediscovered songs from the past recorded on ancient electro-mechanical technology that captures and unleashes the essence of something that could have been gone forever." 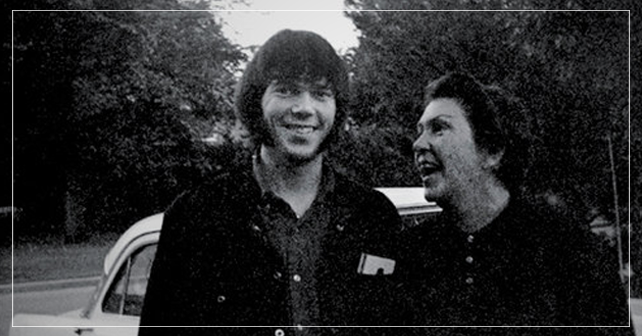 A Letter Home is Neil Young's 34th. studio album. 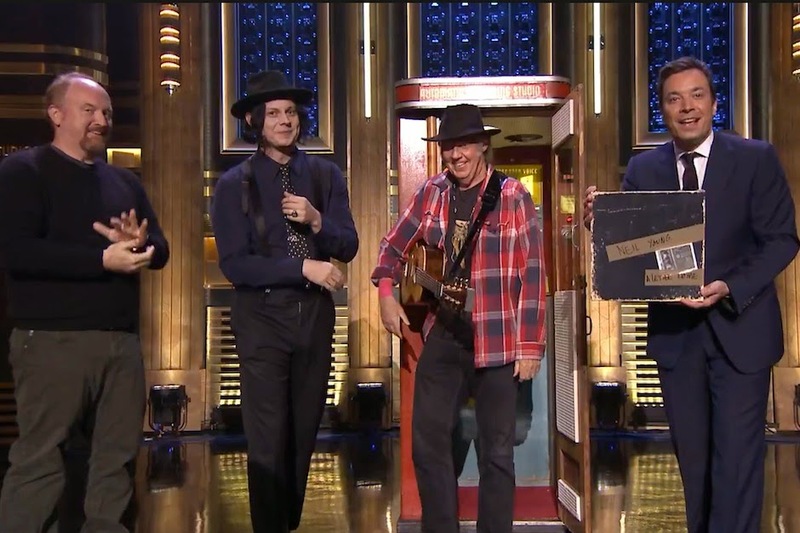 It was produced ("reproduced") by Neil Young and Jack White. It features Neil on guitar, piano, harmonica and vocals; and Jack on piano and vocals on two of the tracks. There are 11 songs on the album. The first four sit comfortably with Young's folky-background: "Changes" by Phil Ochs, Dylan's "Girl From the North Country", "Needle of Death" by Bert Jansch, and "Early Morning Rain" by fellow-Canadian Gordon Lightfoot. From there, the styles become more varied: some country - Willie Nelson's "Crazy" and "On The Road Again"; a 12-bar blues by Ivory Joe Hunter - "Since I Met You Baby"; some more folky stuff - "Reason to Believe" by Tim Hardin, and another Lightfoot piece, "If You Could Read My Mind"; the Springsteen piece "My Home Town"; and some late-fifties pop from the Everly Brothers - "I Wonder if I Care as Much". It's primarily 50s and 60s material - the Springsteen track is notably anachronistic. There are two voice-only tracks - one at the very beginning and the other in the middle - where Neil addresses his mother "Rassy" (Edna Ragland Young, who died in 1990) in the style of "a letter home". In the middle vocal piece, Young sets the context for the musical choices on the album: "Jack and I have discovered a lot of the old guitar songs; we've rediscovered songs that I used to sing at Grosvenor [1123 Grosvenor Avenue - Neil's and Rassy's home in Winnipeg in the early 60s], when we were together there - you know - the records I used to play ... I'm gonna send some of these to you." The voice-only track that opens the disc establishes the concept for the album: "Hi, Mom! It's great to be able to talk to you ... My friend Jack has got this box [the Voice-o-Graph booth] that I can talk to you from ... to tell you how much I love you and to also tell you that I think you should start talking to Daddy again ..." [Rassy and Scott, Neil's father, had separated in 1957, when Neil was 12, and divorced in 1960.] And then Neil's comments get really quirky: "You know how we used to watch the weatherman all the time on TV, and we used to know what was happening, you know, up there in Winnipeg? Well, I met this guy named Al. He's the weatherman for the whole planet, if you can imagine that. He's sometimes not popular because - this is very strange - but people turn on the weatherman ... They say bad things about him and put him down. So things haven't been that great lately ... Every once in a while all hell breaks loose, Mum, and the whole thing is like nothing I've ever seen before. And it seems to be happening everywhere, all the time." And then, appropriately, he goes directly into a poignant rendition of Phil Ochs lovely song "Changes". For most of A Letter Home, Neil is playing acoustic guitar. On three tracks he uses piano (how did they fit the piano into the Voice-o-Graph booth - maybe Jack White's 1947 Voice-o-Graph booth works like the Tardis?). He adds harmonica on a few tracks. And the use of whistling on "Needle of Death" is a simple, but effective mood-setting technique. The low-tech, inferior audio is surprisingly varied. Neil's high-pitched, tenor voice comes through clearly most of the time, even though he often adopts a quiet, contemplative approach. When the guitar playing is primarily in the Travis-picking style, it registers well; but when the guitar accompaniment is mostly flat-pick strumming, it can become undifferentiated and muddy. And if there is too much going on - "On The Road Again", for example, has piano, harmonica and double vocals - the sound becomes a murky wash.
For me, the standout tracks on here are "Changes", "Needle of Death", "Crazy", "If You Could Read My Mind", and "I Wonder if I Care as Much". "Needle of Death", a Bert Jansch song, is particularly moving. Young doesn't push the vocal - he does it in an understated style. As he comments right after the performance: "That's a heavy song". It reminded me of Danny Whitten, a former member of Crazy Horse, who had been a heroin addict. Neil wrote "The Needle and the Damage Done" about his friend. Much of Neil Young's output in the last decade has been meditative. He has been doing a lot of self-assessment - looking back at his life and his experiences. The near-death shock he had in 2005, when he suffered a brain aneurysm, probably prompted much of this contemplation; but it didn't slow him down. In the last ten years, he has averaged about one album of new material each year - solo and in tandem with Crazy Horse. He has also published a memoir - Waging Heavy Peace (2012). And he's been working diligently at organizing and releasing his Neil Young Archives series - remastered CDs of live shows. 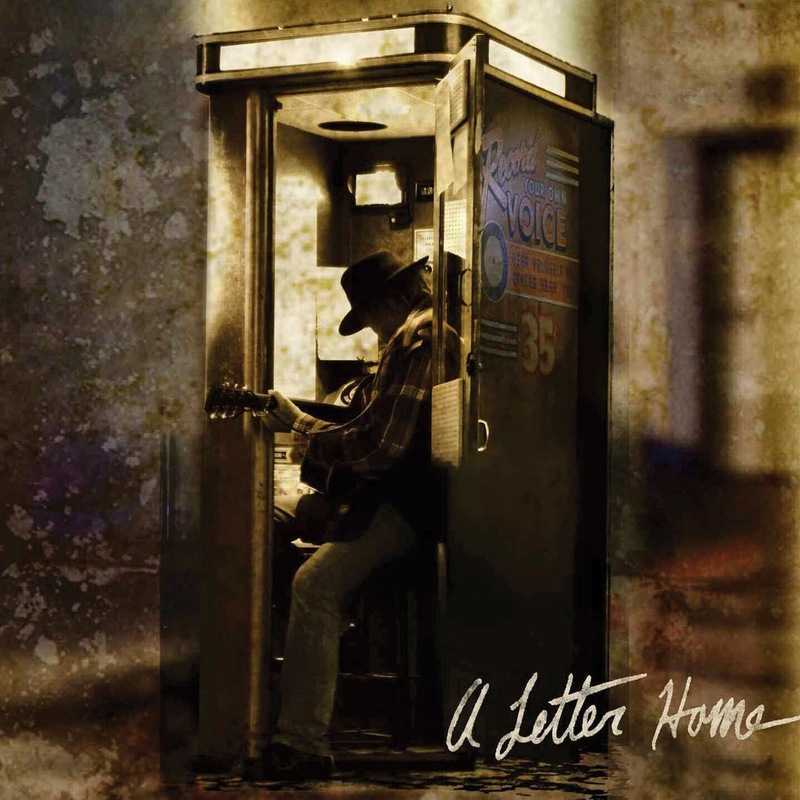 A Letter Home - in addition to its status as a unique audio experiment - is another Neil Young exercise in nostalgia. As you listen to the performances on this disc, you can't help but feel the aura of poignant reminiscence. Neil Young singing Dylan? Neil Young singing Lightfoot? All three of these master songwriters have had their brush with death. All three are in the twilight of their careers. 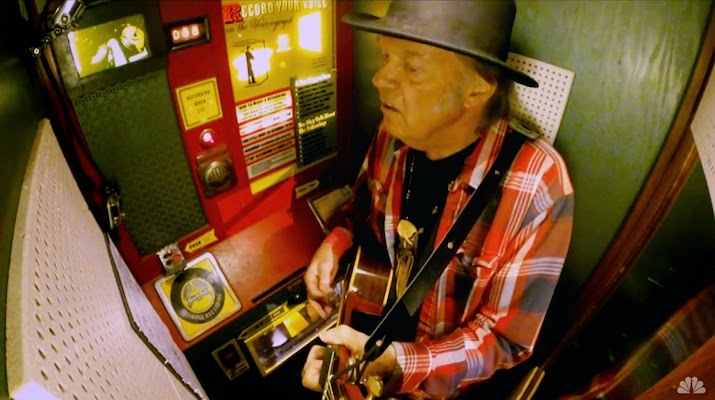 Neil Young performing Bert Jansch's "Needle of Death" in the booth. A Letter Home is a clever work of 'meta-music' (similar to the notion of meta-fiction in literature). What I mean is that its unique status as a combination of covers album and audio experiment pushes you to respond to it in a different way. And this is precisely how Young conceived the project. It's typical of this rock artist who has always defiantly done his own thing. He has been fearless throughout his career - willing to take risks, in order to follow his own artistic vision. Granted, A Letter Home may not be one of those Neil Young albums that you come back to on a regular basis. But it's a strangely atmospheric and listenable work - as long as you divine its intent, accept the audio limitations of its recording technique, and listen with an open mind and an open heart. 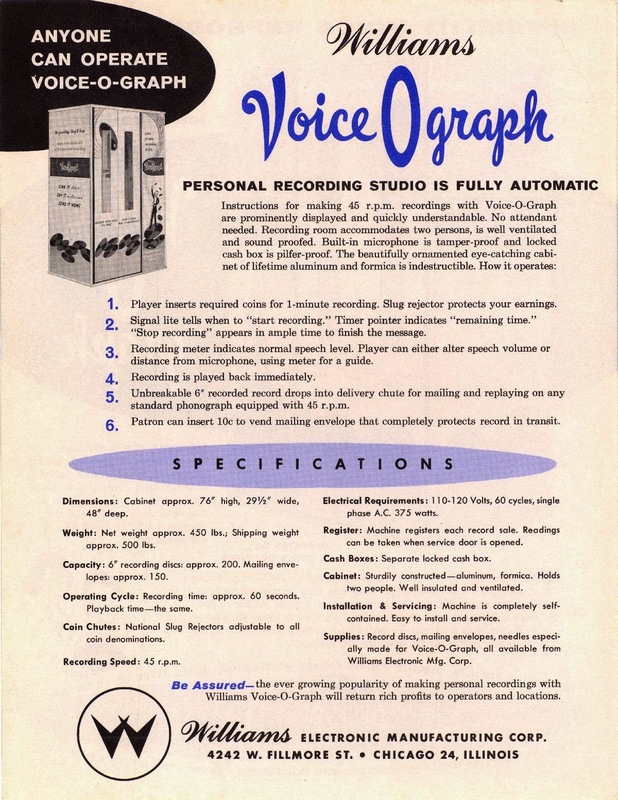 Resources: details about the technical improvements to Jack White's 1947 Voice-o-Graph come from an article on the Wondering Sound website by John Morthland. damn - i was waiting for the pono version! thx for the insight clive - i actually had recorded my first (and last) LP in that booth you mention at the top of the Empire State building in the early 60's - Puff the Magic Dragon!